Peter Lambrick serves on the Ontario Federation of Agriculture (OFA) Board of Directors as Director at Large. 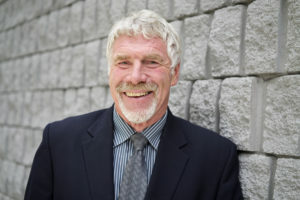 He has held the position since 2008 but previously served as Halton’s representative to the OFA Board in 2007. Lambrick came to Canada in 1973, settling in Campbellville where he farms 800 acres of beans, wheat and corn with his wife Liz. Lambrick has served as President of the Halton County Federation of Agriculture twice, and been on the OFA Audit, Governance and Finance Committees. He was the OFA’s first member of AGCare and Halton’s first Chair of the Land Stewardship Committee (precursor of the Environmental Farm Plan). Lambrick is a member of the local Soil and Crop Improvement Association, Halton’s Agricultural Advisory Committee, and past Chair of the GTA Agricultural Action Committee, and currently chairs the steering committee that is shaping a strategy for food and farming in the Golden Horseshoe. Lambrick is an active member of the local community.